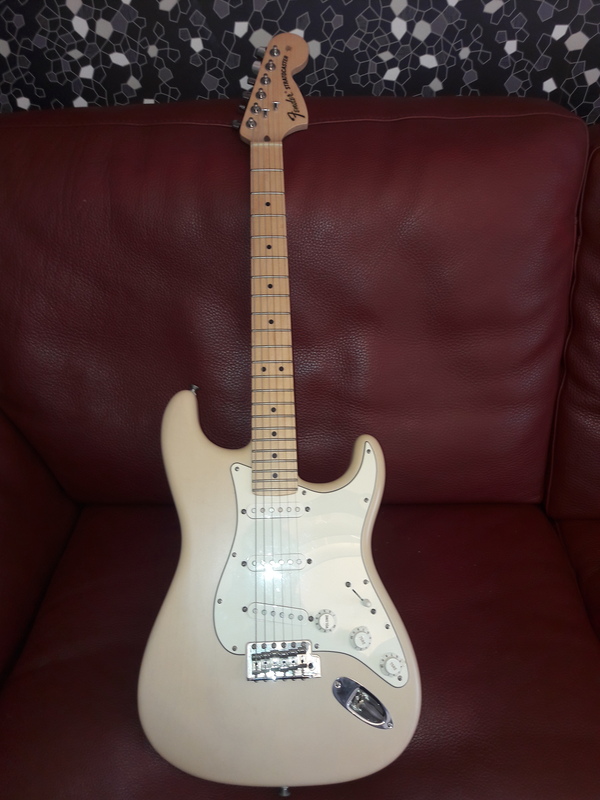 Highway One Stratocaster [2006-2011], STC-Shaped Guitar from Fender in the Stratocaster series. 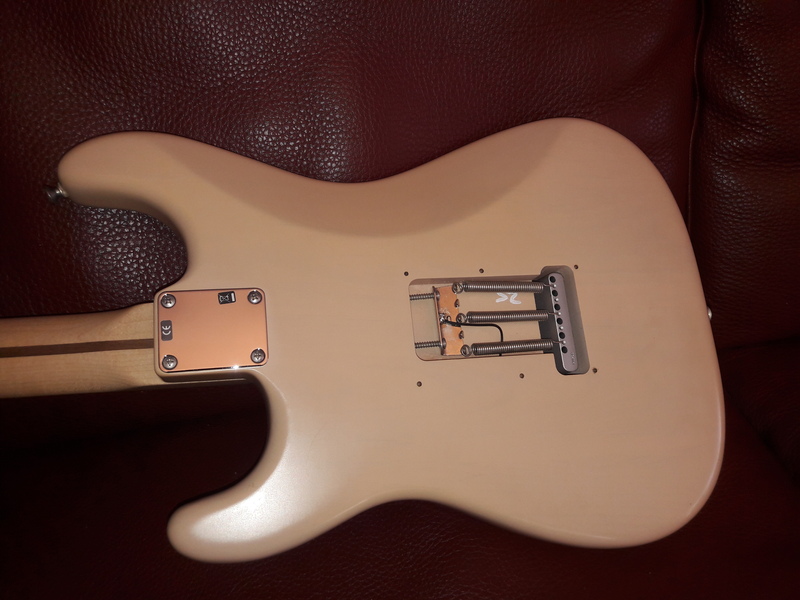 MGR/Anonymous's review"Fender Highway 1 Stratocaster"
I bought mine at a local dealer for around six hundred out the door. over the new style because it feels lively and bouncy in comparison. (which is good because I really pound the strings. )I think I'll try to trade one of my Americans in on a cheaper Hwy 1. I dont believe the Americans are worth the extra $300 - $400. I actually stripped the finish off exposing the natural wood and it looks great. The neck joint is really tight too. The neck and frets are awesome. The Hwy 1 feels a little lighter than my Americans, which is good after 4 sets. I believe the Highway 1 strat is the best buy in there line-up. It's great for blues, country and classic rock. 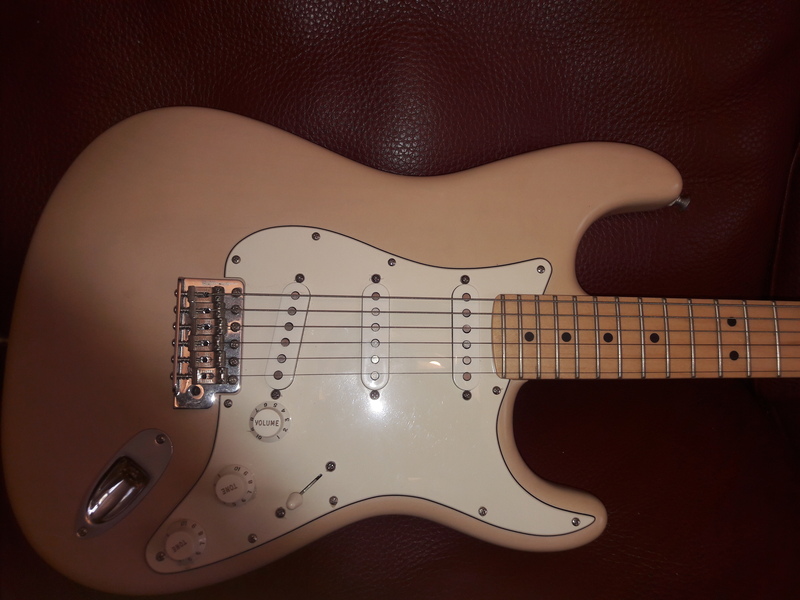 MGR/Guitar Joe's review"Fender Highway 1 Stratocaster"
I went to Guitar Center to purchase a small practice amp and found this blonde USA made strat on sale for their Green Tag sale at $370. I could not pass it up. I honestly like everything on this guitar, I usually play Les Pauls, but this one has made me switch to Fender. It is light in weight, and the action after a professional setup is fantastic. It has an extremely fast neck and a great tremelo and good sustain. It sounds like a dream to me. Made in the U.S.A. by Fender, say no more. I would have paid twice as much for this guitar. 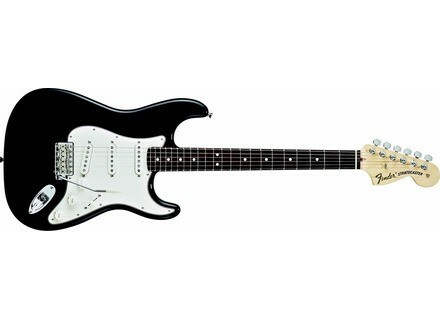 MGR/CKMANNER's review"Fender Highway One Stratocaster"
I bought the guitar at World Music in Nashville for $399. The people there are great. The guitar was a demo model. It is in great condition, but I'm sure it had been on the showroom floor for a while. This guitar is in transparent cocoa (it's not a really attractive color) with a maple fretboard. An American-made Strat for $399!!! That's only about $50 more than a Mexi-Strat. The guitar is in great condition. The people at World Music set the guitar up. No buzz, no rattles. The most important thing is sound. And this puppy sounds great. I don't really like the cocoa color. No big deal. 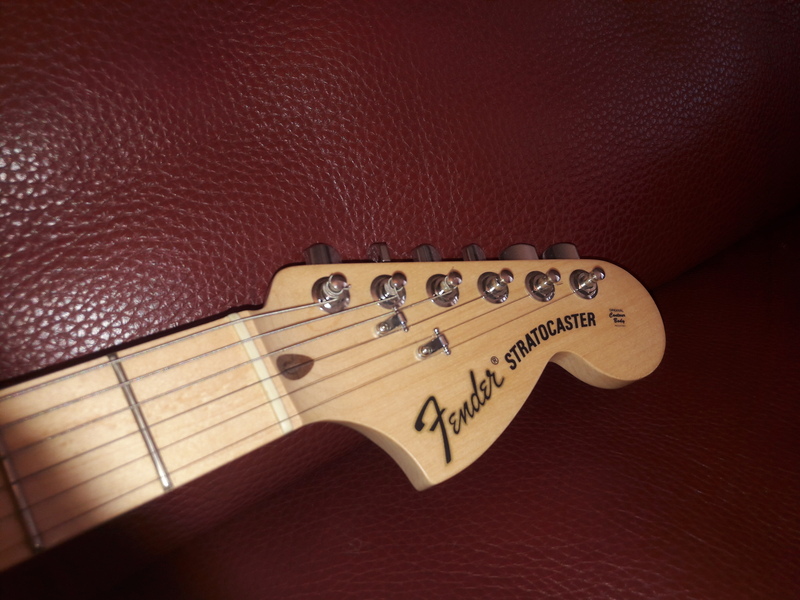 Fender cuts costs by using a thinner finish. But it does give the guitar a "vintage" look. Perfect. I can't find any flaws. The neck is bolted in tight. The neck is smooth and comfortable. I fully intended on buying an American Standard Strat. But when I saw the Highway One at $399, I could not justify paying $400 more. Is the Highway One better than the American Standard? Probably not. The pickups are little harsh, but that adds to the "vintage vibe." Is it better than the Mexi-Strats? I have played some good Mexican guitars, but these Highway One's have a smoother feel. This is the best $399 I've ever spent on a guitar.